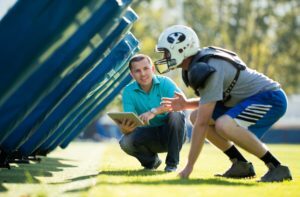 Smartfoam Shoulder Pads created by Xenith and XOnano has created the first Smartfoam powered shoulder pad, which can transmit impact data to a sideline medical staff. This pad can measure the speed, location, and severity of each impact in practice and game day. We can collect legacy data from the first Pop Warner practice until the last NFL game. This legacy data will help everyone associated with football understand injury better, which will help in the creation of new safety equipment. 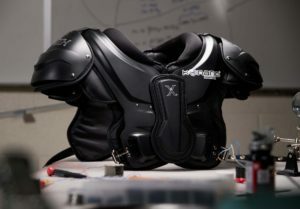 Smartfoam shoulder pads will be a vital part of the future of football. Working with Xenith, NCP has created the first Smartfoam powered shoulder pad, which can transmit impact data to a sideline medical staff. 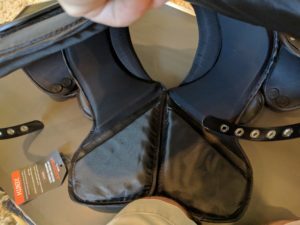 Smartfoam shoulder pads can measure the speed, location, and severity of each impact in practice and game day. We can collect legacy data from the first Pop Warner practice until the last NFL game. This legacy data will help everyone associated with football understand injury better, which will help in the creation of new safety equipment. To make our shoulder pad, we replaced large sections of normal foam with the best impact foam on the planet: Rogers Corporations’ PORON. PORON outperforms all competitors and is the foam material of choice for extreme impact protection. It is soft and contours against the body, yet instantly dissipates force on impact. Coaches, trainers, team doctors, and concerned parents, can track the impact their player encounters in practice and games with our app. 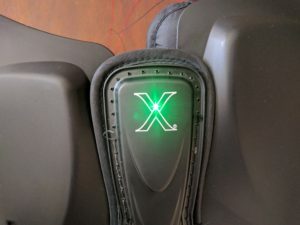 Xenith/XOnano Smartfoam Smart Shoulder Pad. Collecting Impact Data with the Xenith/XOnano Smart Shoulder Pad. Shoulder pad with upgraded Smartfoam.